the wide reaches of the Aurlandsfjord, Norway. Keywords: Norway Norway in a Nutshell Flam Railway mountains fjord Scandinavia cruise Aurlandsfjord NærØyfjord Naeroyfjord fiord World Heritage listed fjord serene tranquil peace Flam Gudvangen. IPTC Copyright: Bruce Holmes All images are licensed for one time use only unless otherwise stated in writing. 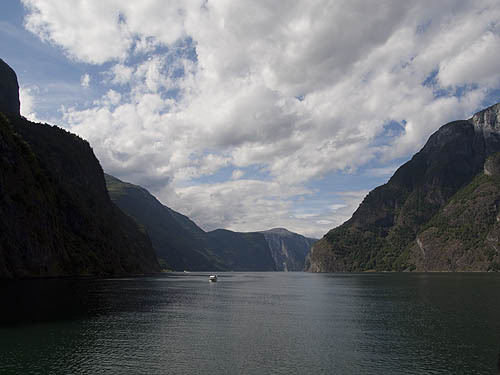 IPTC Keywords: Norway Norway in a Nutshell Flam Railway mountains fjord Scandinavia cruise Aurlandsfjord N&aelig;r&Oslash;yfjord Naeroyfjord fiord World Heritage listed fjord serene tranquil peace Flam Gudvangen.